Aurora Rise is a benefit event dedicated to assisting the victims and victim’s families of the tragic shooting at a movie theater in Aurora, Colorado last month. The benefit organizer, Jason Farnsworth, Manager of All C's Collectibles, wrote that all proceeds from the event will go directly to the victims, their families and/or designated charity or foundation. "As the sole comic and collectible store in Aurora we have been directly impacted by the tragic event on July 20th, as several of our customers, friends, employees, and families were involved in the tragedy. Our customers, their families and friends are dedicated, hard working people, and as such we’re going to support them by organizing the Aurora Rise: Benefit Event here at our store, All C’s Collectibles, within the coming weeks." An in-store silent auction, along with in-store signings, will take place on August 25 and 26, 2012, with featured guests like Mike Mignola, Matt Fraction, Steve Niles and more. 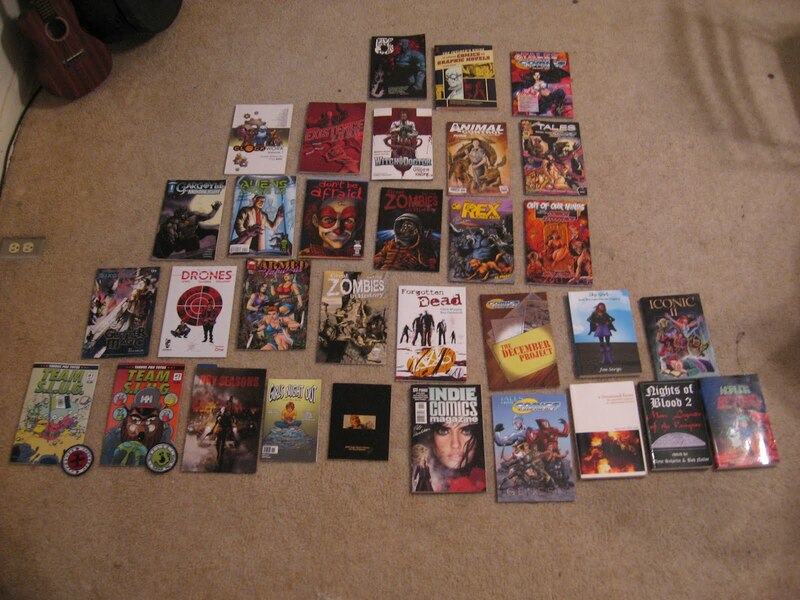 Comics Experience Book Club Manager, Paul Allor, organized a donation effort on the Creators Workshop to gather together work from Comics Experience alums and Workshop members for the upcoming auction. As you can see from the photo showing most of the donated work, the packages will contain more than 30 titles. Comics Experience will also be donating a three-month free membership in the Creators Workshop to the winner of the auction package. If you'd like to learn more about the Aurora Benefit effort or donate, please visit their Facebook page.